To identify potential future innovations that could have a significant, positive impact on the veterinary profession and act as a catalyst for advancing that innovation in the profession. We strive to stimulate conversation throughout the industry, developing the resources and programming necessary to accelerate the rate of positive change that ultimately results in better care for animals everywhere. As Executive Vice President of Strategic Innovation & Digital Experience, Brock is responsible for accelerating Petco's growth through innovation and enterprise-wide, consumer-focused digital initiatives. An accomplished executive with significant experience leading digital innovation and startups, Brock leads Petco’s efforts to use digital tools and applications to educate and engage the modern pet parent. 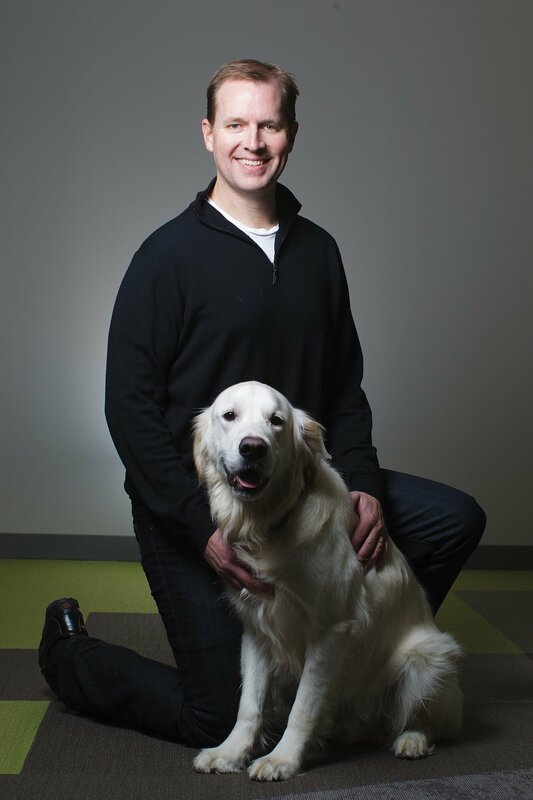 Brock joined the company in March 2017 when Petco acquired PetCoach, where he was the CEO and co-founder. 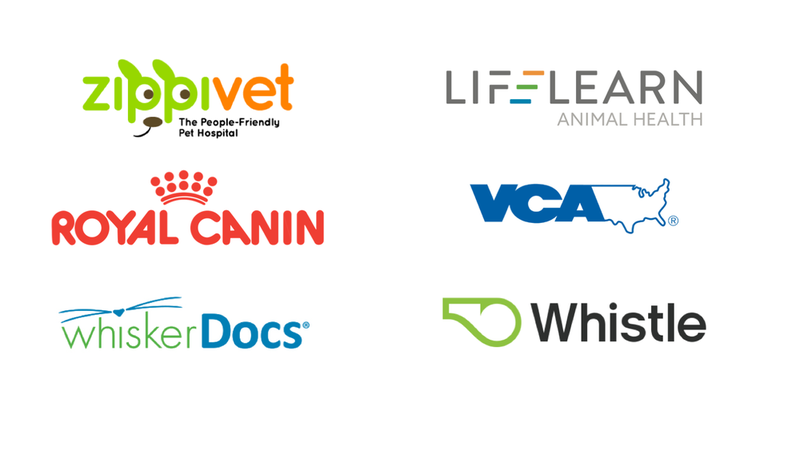 PetCoach is an app (iOS and Android) and online pet advice service that connects pet parents with experienced veterinary professionals for personalized care. Previously, Brock was a Venture Partner of tech accelerator ICONYC Labs and Managing Director of his angel investment fund, Atai Ventures. Brock also served as Senior Vice President and Chief Digital Officer at PetSmart after selling Pet360, a venture-backed leading consumer engagement, digital media and subscription ecommerce company, where he was CEO for five years. Brock was also co-founder and CEO of startup, Fathead and a senior leader at InterActiveCorp, a media entertainment company. Brock earned his bachelor’s degree in marketing and tourism from the University of Colorado. He is a former board member of Nature Conservancy’s Adirondacks chapter and is very involved in the startup community as an angel investor and was President of Philly Startup Leaders. Brock’s trusty companion is his four-legged family member – Boulder. Dr. Linda Lord is the Academic and Allied Industry Liaison Lead for Merck Animal Health. 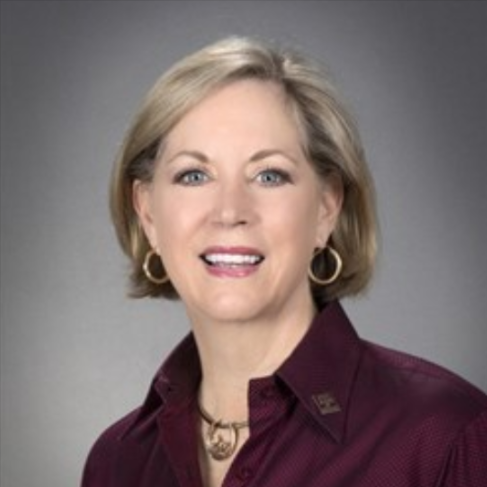 In this position, Linda leads strategic initiatives and program development with academic institutions as well as veterinary industry associations. Linda is the project leader for the Merck Animal Health Veterinary Wellbeing Study released in January, 2018. Linda joined Merck Animal Health in February, 2017 after a career in academia at The Ohio State University College of Veterinary Medicine (OSU CVM) as a faculty member in Veterinary Preventive Medicine and as the Associate Dean for Professional Programs. During her time at OSU CVM Linda formed the first Office of Career Management at a veterinary school and was instrumental in hosting the first Health & Wellness Summit held at OSU CVM. Linda also served as the chair of the Veterinary Wellness Advancement Group for the Association of American Veterinary Medical Colleges. Linda completed her DVM and Master’s degree in 1999 and her PhD in 2006 at OSU CVM after practicing 5 years in companion animal medicine. Linda has conducted extensive research on companion animal issues specifically in the areas of pet reunification and identification. Linda currently serves on the board of directors for NAVC’s Veterinary Innovation Council as well as the Ohio Veterinary Medical Association (OVMA). For OVMA, Linda serves as the alternate delegate for the AVMA House of Delegates and was named Veterinarian of the Year for 2016 by the organization. Tom Bohn became CEO of the NAVC (North American Veterinary Community) in January 2013. He oversees the NAVC’s $24 million budget and more than 60 staff members and 150 seasonal personnel under the direction of the NAVC Board of Directors, including the delivery of products and services to NAVC’s growing domestic and international constituents. Working with the Board of Directors and NAVC staff, Tom supports each group toward growth and achievement of the organization’s strategic plan. Tom is a Certified Association Executive (CAE) with over 20 years of experience working with local, state, national and international associations. Tom has served as the executive director and CEO of several associations, including The Institute of Internal Auditors, ranging from $2-25 million in revenue representing many different constituencies and professions. He has personally directed all aspects of association management including marketing, event management, membership development, leadership development, conferences, fundraising, certification programs, lobbying and more. He has also led several associations through successful mergers. In addition, he is a nationally recognized association leader whose articles have appeared in leading journals and magazines including the ASAE’s Associations Now and Association News Magazine. He has also co-published a peer reviewed academic paper on customer service best practices for associations. A sought after and dynamic public speaker, he has presented to groups large and small and has been a guest on Bloomberg News Radio and Fox Business Channel discussing topics on association management, document management, image to archive, taxation, automation and more. He has an MBA from the University of Central Florida. Tom has an Old English Sheepdog named Winston Churchill and a Golden Retriever named Derby. He lives in Orlando with his son, Hudson, and his wife, Jennifer. He’s a huge Springsteen fan and a fan of his son’s lacrosse skills! Jeannine recently joined Mars Petcare’s Connected Solutions as their Global Vice President of Digital Health. Connected Solutions was created by Mars to lead the transformation of the pet care experience for consumers and pet health professionals. Previously, Jeannine worked for Banfield Pet Hospital for over 17 years. Jeannine joined the organization in 2001 to oversee marketing and sales for Banfield’s former pet insurance company — True Paws — which soon after evolved into an inside insurance sales team of three associates to a team of 16 associates today. Jeannine held several leadership positions within Banfield -- most recently as Senior Vice President, Sales & Marketing. In that role. Jeannine was responsible for managing the company’s marketing and sales functions, call center, and wellness plan offerings. In addition to promoting and advertising the organization’s products and services, Jeannine also worked to develop strategic business plans and strategies to attain corporate sales and profit objectives. Prior to joining Banfield, Jeannine held a variety of account services positions working for Topak Marketing, Inc. and DVM Worldwide, both Philadelphiabased marketing agencies. During her time with both agencies, Jeannine was responsible for day-to-day client coordination, production and creative oversight, database management, and marketing campaign strategy and analysis. She and her husband, Kent, reside in Portland, Ore. where they enjoy exploring the city, and shops and restaurants in their neighborhood, Portland’s Pearl District. Jeannine also enjoys watching movies, reading and cooking. She has two cats, Tigger who is 18, and Rudy who is 5. 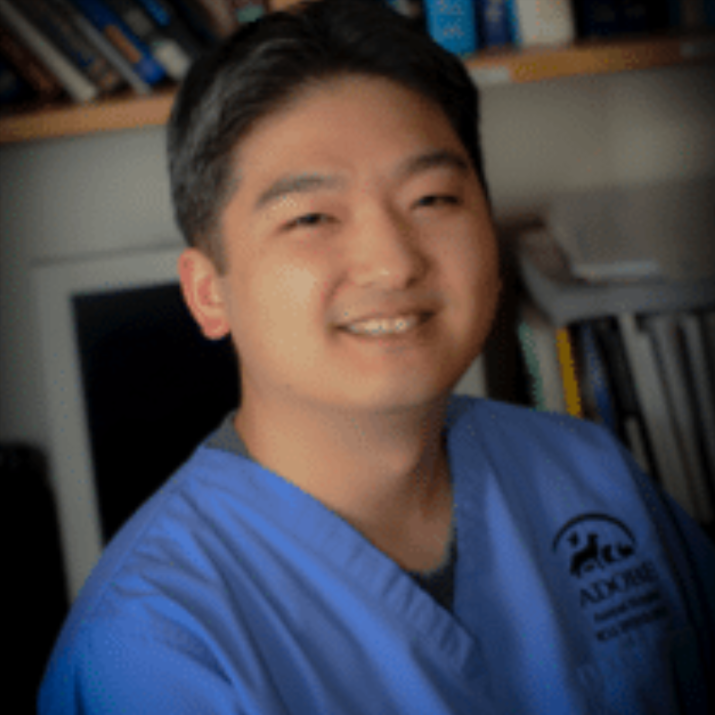 Kenichiro Yagi, BS, RVT, VTS (ECC, SAIM) practices as a veterinary technician at Adobe Animal Hospital in California as an ICU Manager and Blood Bank Manager. He is an active educator, lecturing internationally, contributing to various text books and publications, as well as providing practical instruction on-site and online on topics including transfusion medicine, respiratory care, and critical care nursing. His efforts are also directed towards elevating the profession by serving on the board for Veterinary Emergency Critical Care Society, the Treasurer for the Academy of Veterinary Emergency and Critical Care Technicians, and as the State Representative Committee Chairperson of the National Association of Veterinary Technicians of America. Ken is focused on supporting the veterinary nurse and technicians around the globe in their advocacy for the profession. In collaboration with national and international leaders, he hopes to encourage further recognition for veterinary technicians in their vital role within the veterinary team. He aims to serve the profession by aiding technician associations maintain purpose and relevance, fostering the development of current and future leaders, and bridging veterinarian and veterinary technician efforts towards the advancement of the veterinary field. He is also committed to individual growth, with obtaining a graduate degree in Biomedical Sciences with an emphasis in Veterinary Medicine and Surgery through the University of Missouri set as the current goal. His endeavors are made possible through support from his family, Iris, Haruto, and Haruka. Ken invites everyone to ask “Why?” to understand the “What” and “How” of our field, and to constantly pursue new limits as veterinary professionals and individuals. Andrew serves as COO of Vetsource, an IT enabled healthcare services provider for the veterinary industry and currently, the nation's leading provider of outsourced pharmacy services for veterinary hospitals. As a member of the founding team of VetSource, Andrew has been intimately involved in shaping the strategic direction of Vetsource and has held many positions in the company since its inception in 2005. His current focus is on operational efficiencies and advancements, as well as regulatory compliance. Andrew has also directed business operations as COO for Scott Barber, Inc., acted as Director of Clinical Operations for Pharmatech, Inc. and was co-founder of Premier Veterinary Hospitals, Inc. He has held many pharmaceutical related positions in the industry including serving as a Scientific Manager for Teva (NASDAQ:TEVA) and as a Scientific Liaison for Bristol-Myers Squibb (NYSE:BMY). Andrew earned a Master’s Degree and a Ph.D. from Colorado State University and was the Leon-Goldberg Fellow in Pharmacology and Toxicology at the Bowman Grey School of Medicine, Wake Forest University and worked as a scientist for Targacept (NASDAQ:TRGT), a biopharmaceutical company. Andrew and his family live near Portland, Oregon with their two cats, Darwin and Bella, and pup, Curie. Vice President and Chief Medical Officer for IDEXX, Dr Relford leads the Companion Animal Group Medical Organization (CMO) for IDEXX. It is focused on providing medical support for IDEXX products throughout their life-cycle from research and development to supporting commercial messaging to education and delivery of medical seminars. Her team provides outreach to universities and other organizations within the veterinary industry. The CMO has a broad breadth across the IDEXX products and services touching many aspects by providing the latest medical knowledge. During her 20 years at IDEXX, Dr. Relford was Head of Pathology and Internal Medicine from 1996 to 2014. She covered both national and global responsibilities. By managing a team of highly talented professionals her team was able to grow the pathology and the consultation service to over 750,000 customer interactions per year. Dr. Relford’s professional education was highlighted by a DVM from Auburn University, Ph.D. in Veterinary Pathology from Texas A&M and Master of Science degree in Veterinary Pathology from Mississippi State University. Additionally, she obtained board certification by both American College of Veterinary Medicine (ACVIM) and American College of Veterinary Pathologists (ACVP). Dr. Relford obtained real world experience from seeing patients for 14 years from 1982 to 1996 working as small animal a small animal practitioner in Florida and Tennessee, receiving and referral clinician for MSU, Director of Community Practice at Texas A&M and as an internal medicine referral clinician at Texas A&M. Dr. James W. Lloyd received a DVM at Michigan State University in 1981 and a PhD in Agricultural Economics and Operations Research from Michigan State University in 1989. Senior Vice President Petcare and U.S. Distribution for Zoetis, Steven Leder is responsible for Zoetis’ Petcare business as well as distribution and channel operations in the U.S. He is a member of the Zoetis U.S. Leadership Team. Steve joined Pfizer (human health) in 1985 and began working within the U.S. Pharmaceuticals Finance group. During his career with Pfizer, Steve held a series of positions of increasing responsibility in the Headquarters, Manufacturing, Marketing, Medical, and Sales finance groups of U.S. Pharmaceuticals. In 2002, Steve assumed responsibility for leading Pfizer Global Pharmaceuticals’ Global Finance and Business Development teams. 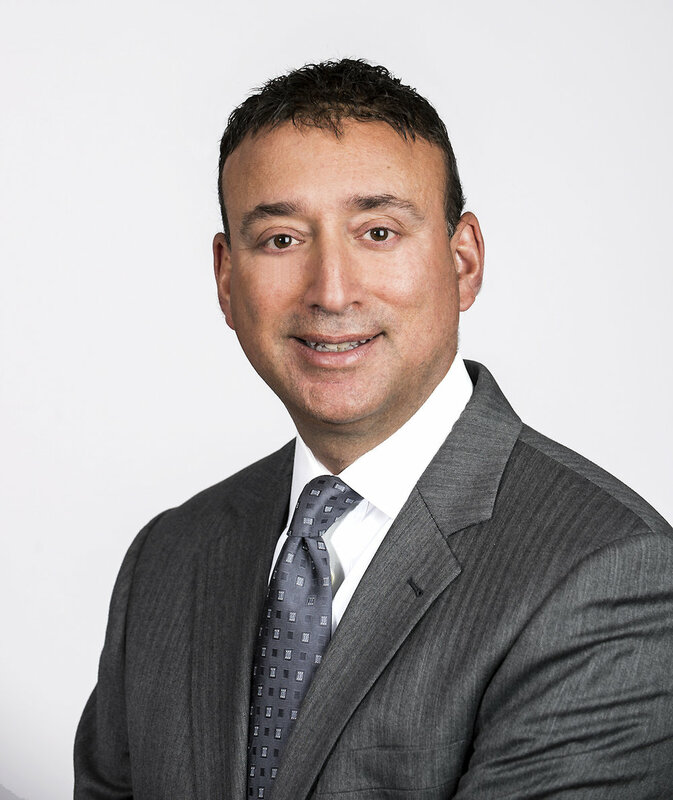 He transitioned to Pfizer Animal Health (now Zoetis) in June 2006 as VP Finance and Business Technology and was a member of both the Pfizer Finance and Pfizer Animal Health Leadership Teams. In December 2010, Steve assumed the commercial leadership role of Senior VP, Companion Animal Division, and added Distribution responsibilities in 2014. Steve received his B.A. in Political Science from Brandeis University, and his MBA in Finance and International Business from New York University. He also studied finance at the London Business School. Steve and his wife Randi reside in Rye Brook, NY and have two daughters, Samantha and Mindy. Dr. Eleanor Green holds the Carl B. King deanship of Texas A&M University College of Veterinary Medicine & Biomedical Sciences. She is a Diplomate of ACVIM and ABVP. She received a BS in Animal Science from the University of Florida and a DVM from Auburn University. She established a veterinary practice in Mississippi as partner/owner. She became a founding faculty member of the College of Veterinary Medicine at Mississippi State University. Her academic appointments have included: equine faculty member at University of Missouri; head of Department of Large Animal Clinical Sciences and director of large animal hospital at the University of Tennessee; chair of Department of Large Animal Clinical Sciences and Chief of Staff of large animal hospital at the University of Florida. She served as president of three national organizations: American Association of Equine Practitioners, American Board of Veterinary Practitioners, American Association of Veterinary Clinicians. Her awards include: 2004 Award of Distinction from UF College of Agriculture and Life Sciences, 2011 Wilford S. Bailey Distinguished Alumni Award from Auburn, 2012 Women ‘s Progress Award for Administration and 2015 Distinguished Achievement Award for Administration at Texas A&M, and induction into the National Cowgirl Hall of Fame in 2013. Douglas G. Aspros, DVM is the Chief Veterinary Officer for Veterinary Practice Partners (VPP) and a member of the senior management team. The VPP co-ownership model brings professional management skills to practices while allowing veterinarians to retain control over medicine and an equity stake in the business. As a companion animal veterinarian, Dr. Aspros has been an owner of two AAHA-accredited general practices and the managing partner of a group-owned emergency practice in Westchester County, NY. 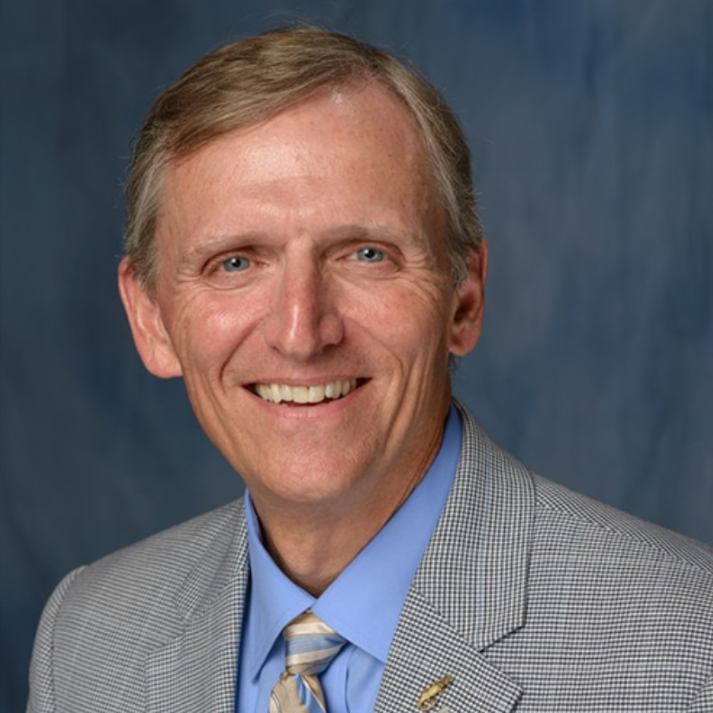 Developing strong relationships in the wider veterinary community over his career, Dr. Aspros served as President of the American Veterinary Medical Association (AVMA) from 2012-13 and is a Past-President of the NYSVMS. He has worked on behalf of the profession in diverse leadership roles over the years in educational accreditation, public health, pet nutrition, licensure and credentialing and as a Trustee of the AVMA-PLIT, and currently chairs the NYS Board for Veterinary Medicine. He has been a determined voice in the need for diversity and in promoting women into leadership roles in veterinary medicine, including practice ownership, and is a founding board member of the Women’s Veterinary Leadership Diversity Initiative (WVLDI). He and his wife live in Pound Ridge, NY with their Norfolk terrier, African Grey parrot and one awesome cat. Dr. Charlotte Lacroix owns and manages Veterinary Business Advisors, Inc., a national consulting firm which advises veterinarians and attorneys on veterinary business and legal issues, with a focus on veterinary business transactions and human resources. With over 20 years of experience in the veterinary industry, she is a skilled negotiator and business strategist. She assists her clients in determining the relevant and important business aspects of a diverse array of situations. Dr. Lacroix lectures extensively nationwide and overseas, and is a frequent speaker at AVMA, NAVC, WVC, VSIPP and other veterinary association and industry meetings and seminars. Dr. Lacroix is a regular contributor to numerous veterinary related publications and volunteers her time and expertise to veterinary and other organizations, including AVMA, AAEP, NAVC and several state associations. She is past president of the NAVC (2014-2015). Mark is the Founding Partner of the Animal Policy Group. A long-time political strategist, lobbyist, corporate executive and former litigator, Mark focuses his advocacy practice on providing high-level strategic advice and services to clients with needs at any level of government, and key trade/industry associations in the U.S., Canada and Mexico. He is the past Chair of the Government Relations and Public Policy Practice and was a long-time partner at Tonkon Torp LLP, a prominent Northwest law firm. Mark also currently serves as University Counsel at Lincoln Memorial University and is a professor of Government Relations at their Knoxville-based Duncan Law School. The Animal Policy Group has offices in Portland, Oregon, Knoxville, TN, Scottsdale, AZ and Washington, DC. Since 2004, Mark has specialized in animal health, animal welfare, veterinary and veterinary educational issues, developing a cutting-edge practice across these sectors. Mark is a frequent speaker at veterinary medicine and other animal policy-related conferences. He is an adjunct faculty member in Animal Law at the Lewis & Clark Law School in Portland, Oregon, and a visiting lecturer at the University of Oregon School of Law. Mark is an honors graduate with distinction from Stanford University and the Willamette University College of Law.